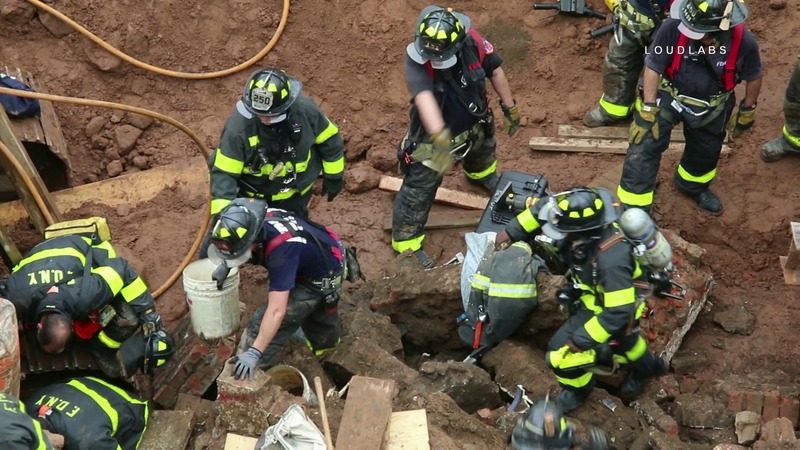 SUNSET PARK, Brooklyn – A building collapsed at a construction site located at 40 St & 7 Ave Wednesday at 1:30 pm within the confines of the 72 Precinct. One of them went missing and was confirmed to be trapped under the dirt. After a few hours of attempting to rescue the trapped worker, they changed the rescue effort into a body recovery of a possible DOA. The area has been sealed off for the safety of first responders and the body recovery will be continued.